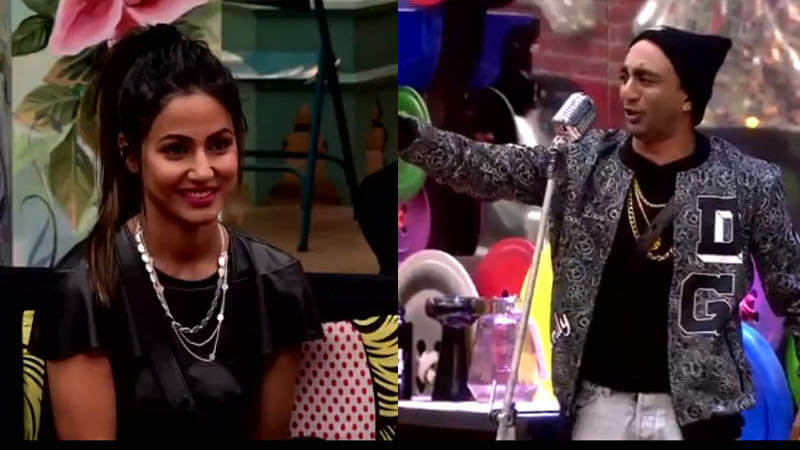 The remaining contestants, Akash Dadlani, Hina Khan, Shilpa Shinde, Vikas Gupta, Puneesh Sharma, Priyank Sharma and Luv Tyagi are fighting for their survival in the house. Now they have to entertain the real-life family of the contestants during the task named Ghar Aaye Gharwale. The new promo of Bigg Boss is out and it seems to introduce a new level of entertainment. 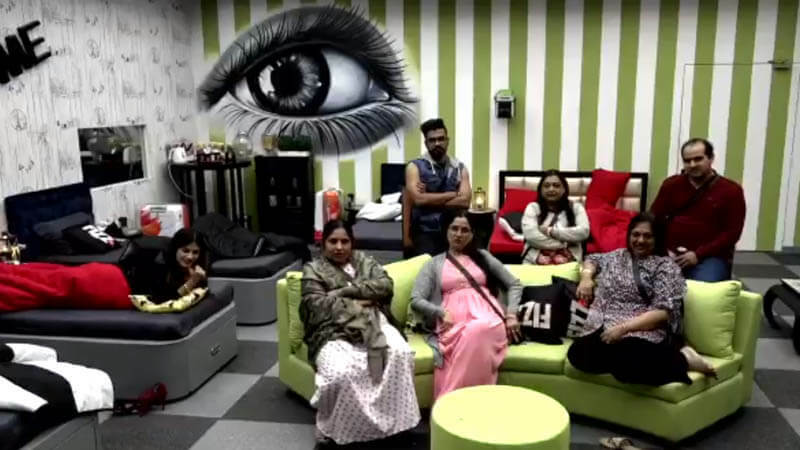 Bigg Boss has come up with a new luxury budget task which is coined as Ghar Aaye Gharwale. In this task, the real-life family members of the contestants came to the house. The newly arrived team contains real-life family and friends of the contestants – Vikas’ mother, Puneesh’s girlfriend Bandgi Kalra, Shilpa’s brother, Hina’s boyfriend Rocky Jaiswal, Luv’s mother, Akash’s mother and Priyank’s mother. The new team has to play the ‘padosis’ of the contestants. In the task, the contestants have to do some light-hearted comedy for the entertainment purposes. 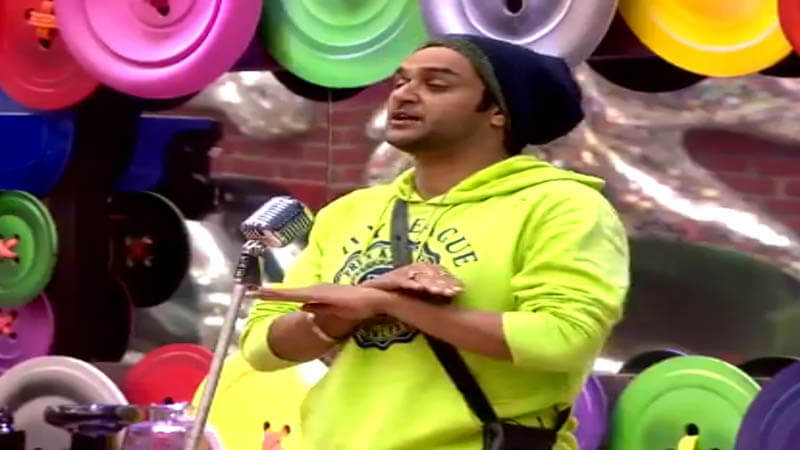 In the promo, Vikas Gupta was seen aiming at Akash Dadlani and his game strategy. He then switches his target to Shilpa Shinde and said that “Shilpa Ji se Shaatir Koi Bhi Nahi Hai”. Akash Dadlani was seen using the opportunity to malign Hina Khan and Vikas Gupta. His words pissed Hina Khan for sure. Then it was Puneesh’s turn to entertain the padosis. He took a dig at Luv Tyagi and sarcastically added, “Agar Meri Or Akash Ki Life me agar koi Grahan hai na to vo hai “Shilpa Shinde”. 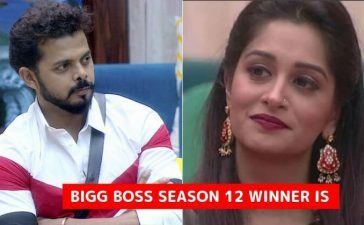 Shilpa Shinde was the next in the list of entertainers, she gets the best out of the opportunity to piss off Hina Khan. Although the task is for the sake of entertainment we are sure that it will generate new controversies. What do you say? Share your thoughts in the comments. 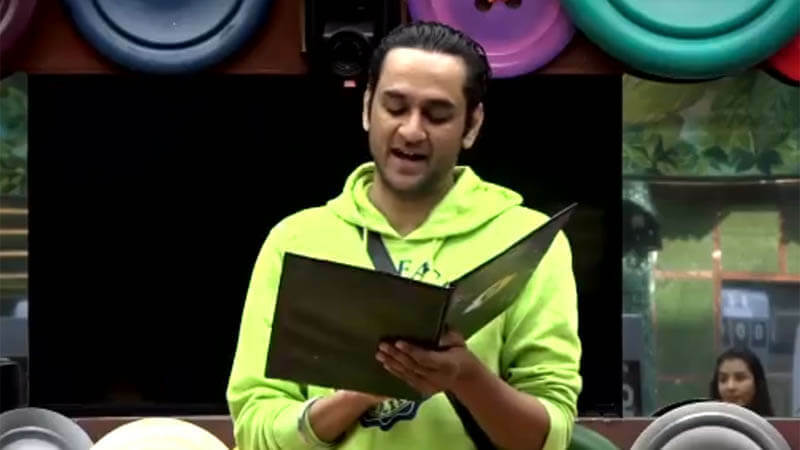 If you have missed the previous shows, check, how Vikas Gupta became the first semifinalist.